Health insurer Anthem's policy of denying reimbursement for emergency department visits later deemed not enough of an emergency sparked outrage and lawsuits from healthcare providers and lawmakers when it was rolled out to several states in 2017 and more this year. They feared that hospitals and ED doctors would be delivering care without getting paid and that patients would be saddled with massive medical bills that could deter them from seeking care in an emergency in the future. It turns out that Anthem's policy did lead to a big spike in coverage denials among ED patients in Georgia, Kentucky and Missouri last year, according to a report by Sen. Claire McCaskill (D-Mo.). But Anthem ended up overturning the majority of denied claims that patients appealed. That means "a significant percentage of initial denials were improper—a troubling result given that Anthem places the burden of appeal on beneficiaries, and individuals without the time and resources to file an appeal may face a significant and potentially improper financial responsibility," McCaskill's report stated. The report concluded that Anthem employees may not have appropriate training or experience to carry out its ED policy. Even if most claims are eventually overturned on appeal, the existence of the "avoidable ER program," as Anthem refers to it, might deter people who think they are having an emergency from seeking help. "The problem is we don't know how many didn't go to the ER because they're afraid of the financial penalty," said Dr. Vidor Friedman, president-elect of the American College of Emergency Physicians, which sued Anthem's Georgia health plan over its ED policy earlier this week. Anthem decides whether to deny or pay for emergency care based on a list of diagnostic codes that it won't publicly release. It wouldn't provide those codes to McCaskill either, according to the report. Emergency doctors argue that basing coverage decisions on final diagnostic codes included in a claim disregards the symptoms and other circumstances surrounding a patient's decision to go to an ED. "They are asking patients to diagnose themselves, and that's just not appropriate," Friedman said. Back in December, McCaskill sent a letter to then-Anthem CEO Joseph Swedish demanding information on the health insurer's ED payment policy. The report's findings are based on the information Anthem and others provided as part of her inquiry. According to the report, Anthem denied approximately 12,200 emergency claims in Missouri, Kentucky, and Georgia from July 2017 through December 2017. That's about 5.8% of all ER claims submitted from those states during that period. In Missouri, Anthem later overturned about 62% of initial claim denials that were appealed between July 2017 and November 2017. Similarly, Anthem reversed 60% of denied claims that were appealed in Georgia, and 70% in Kentucky. It's unclear, though, how many patients appealed their denied claims. A spokesman for McCaskill's office said there were many denied claims that were not appealed and thus, not overturned. 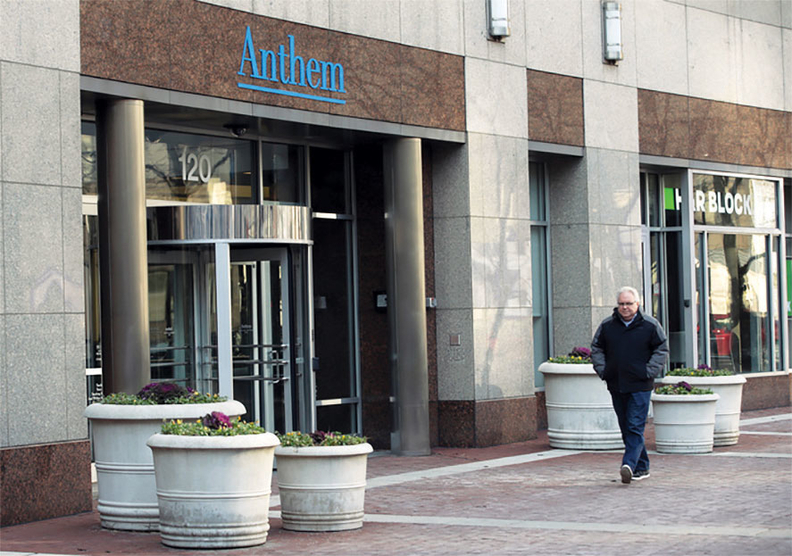 Responding to the report, an Anthem spokeswoman said via email that during the appeals process, plan members often provided additional information that resulted in the company overturning its decision to deny the claim. The report also states that after Anthem responded to pushback earlier this year by introducing several exceptions to its policy, ED claims denials fell sharply to nearly 0% in the three states as of March 2018. "Anthem's experience during the initial rollout of the ER program informed the decision to add these enhancements, and with these additional changes we expect that consumers will request fewer appeals," the company spokeswoman said. Anthem's ED policy has been rolled out in six states so far. The insurer hasn't showed any sign that it plans to rescind the program.